Spread 1 tablespoon peanut butter on each bread slice. Top each with 1 banana piece. Fold the bread slices around the bananas. 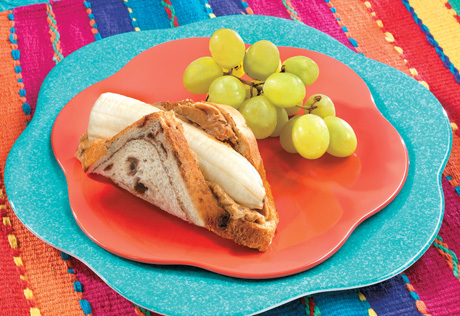 Easy Substitution: You can substitute cream cheese or jelly for the peanut butter.